If you think you need indoor courts to play tennis in the winter, think again. Getting outside and playing a day time match could give you just the boost you need. 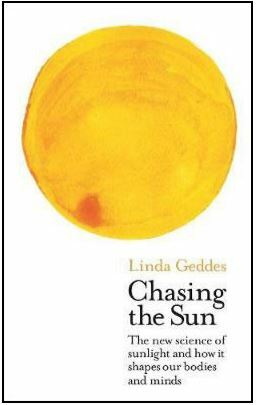 That is one of the implications of a new book called Chasing the Sun by Linda Geddes, an eye-opening account of how sunlight effects humans. Not only does every cell in your body have a clock, all the clocks are carefully synchronised by light. Get them out of whack by jetlag, shift work or simply spending too long in the office, and your health will begin to suffer. While different people’s body clocks run at different speeds (there are larks, owls and people in between), circadian rhythms matter. They are the reason teenagers can’t get up in the morning (puberty triggers a two hour delay in their sleep timing), why heart attacks are more common in the morning (blood pressure rises when you wake up) and why the Spanish eat so late (Spain’s position on the extreme west of the central European time zone means that at 10pm their internal body time, which is set according to sun rise, says it's only 7.30pm). Almost half of our genes are under circadian control, including the ones associated with every major illness investigated so far: cancer, Alzheimer’s, type 2 diabetes, coronary artery disease, schizophrenia and obesity so it really is worth paying attention. There are also some fascinating facts for athletes in general and tennis players in particular. For example, muscle strength, reaction times, flexibility and speed tend to peak in the early evening which is why evening is when most sporting records are set. For sports involving technical skills like tennis or football, however, it sends to be a little earlier, in the afternoon. Tennis serves are more accurate in the morning, but faster in the evening, which might be worth remembering when you schedule a match. The simplest and probably most important message, however, it is to get more daylight, particularly between 8am and noon. Even on an overcast day, it can be 1000 times brighter outside than indoors. So, if you take due care not to play when courts are icy or unsafe, get outside and play and you will sleep better, feel better and be in a better mood.